Elirdain is one of Vlaakith's most powerful and secretive knights. He is great at impersonations. He uses flowery speech or long words. He can be blustering sometimes when dealing with others. He believes in tradition and has a live and let live attitude with those that have not yet angered Vlaakith. He is also very protective of his secret family members. During his first illithid raid, he found a vast treasure and returned it to the Lich Queen. When Elirdain saw Vlaakith for the first time during his loyalty ceremony, he fell in love. His clumsy words during the loyalty ceremony endeared the queen to him. Having found favor with Vlaakith, Elirdain received a wish. He wished for her everlasting love. The spell fizzled, and Vlaakith laughed at the foolish knight. However, to this day, she has never tried to consume his soul like many knights before him. He fought in three major wars against the Githzerai. During the first war, he was seriously injured and bears many scars of that experience. The second war was relatively uneventful. During the third war, Elirdain fell to the charms of an Eladrin named Caelynn Hanali. During his two years of captivity, he grew to love Caelynn in more than just a charmed state. However, Elirdain's devotion to Vlaakith drove him to escape the fey's clutches. Upon returning, Vlaakith was so happy that she made him a royal consort. He spent many years performing his knightly duties for Vlaakith. It is during this time that Caelynn, with a child in tow, found him. Elirdain provides a place for her on Tu’narath in the Astral to hide and to be close to him. While he is away at war, Caelynn travels back to Faerun occasionally to allow the children to age naturally. 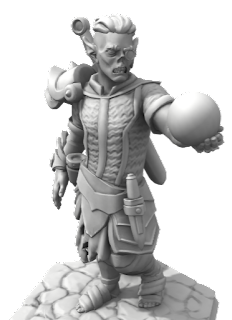 Someone in the githyanki ranks knows of this secret and plans on blackmailing him. Over the next few years, two more children are born and kept secretly.